Pam Goldberg is a true pioneer in the way we listen to live classical music today. She is a concert pianist who felt passionately about the way people were experiencing the typical concert hall experience. With an emphasis on presentation & location Pam has been a forerunner in the alt-space classical music movement. 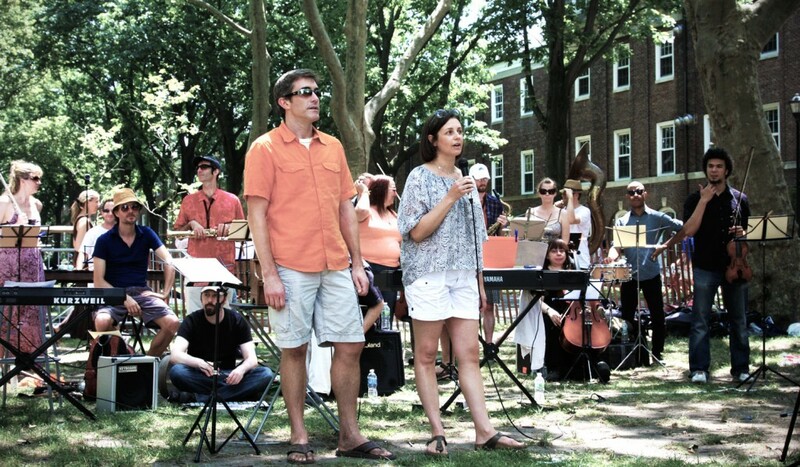 The Rite of Summer Music Festival on Governors Island was founded in 2011 by pianists Pam Goldberg & Blair McMillen. 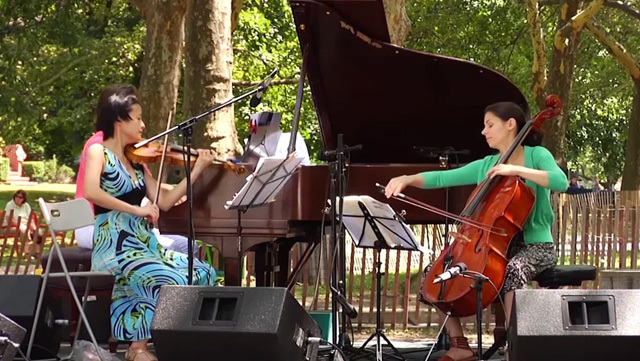 Rite of Summer features free outdoor concerts of classical and cutting-edge contemporary music, performed by many of New York’s best-known soloists and ensembles. These musicians, all of whom perform on some of the world’s most prestigious concert stages, are excited about reaching a younger and more eclectic audience base on Governors Island. The festival’s “concert hall” is Nolan Park – a huge shaded grassy field where listeners are encouraged to sprawl out on blankets, picnic, and take in the great outdoors. Audiences of all ages are captivated by the series, the setting, the music, and the full Governors Island experience. Acknowledged by many to have created the blueprint for places like Poisson Rouge and The Stone, Pam Goldberg is an interesting combination of professional pianist and entrepreneur. Having concertized in New York in varied venues, Pam decided to create a different environment for both performer and audience – distinctly different from the concert halls. The first was Classical Café, under the auspices of the 92nd Street Y where the highest level musicians played in a subterranean café to young audiences, who were able to enjoy classical music in a relaxed informal, setting where they could even, alas(!) eat and have a drink. The results were so satisfying that Pam decided to expand to an even larger audience, and Governors Island became the perfect venue. Again, top flight musicians but this time playing not to an audience of 80-100 but to perhaps, several hundred. Rite of Summer Music Festival is the first of its kind and 2011 marked its inaugural season. The 1st performance was appropriately Terry Riley’s “In C”- the first minimalist piece with 40 musicians from new music ensembles including Newspeak, Asphalt Orchestra and Momenta Quartet. Pam’s work as Founder & Artistic Director at Classical Café was praised in an article by The New York Times. Her background includes an MM in piano performance from the Manhattan School of Music and a 10-year position on the piano faculty of the Diller-Quaille School of Music. Performing has been a major part of Pam’s musical career; she has given numerous solo and chamber music recitals in the NY Metropolitan area. In 1999, she released a solo album featuring Schumann’s Kreisleriana and Mozart’s Sonata in Bb Major, K.570 and in 2013 she completed a recording of Mozart piano and violin sonatas with violinist, Christine Sohn.